Over the course of the last two months I’ve been wearing a cheap, entry-level motorcycle helmet. Before you say it, I can already hear the hundred dollar head argument ring out… Over the top of the world’s smallest violin, that is! Fact is not everybody can afford to spend north of $800 on a bucket for their melon when a $250 helmet passes the same safety tests. 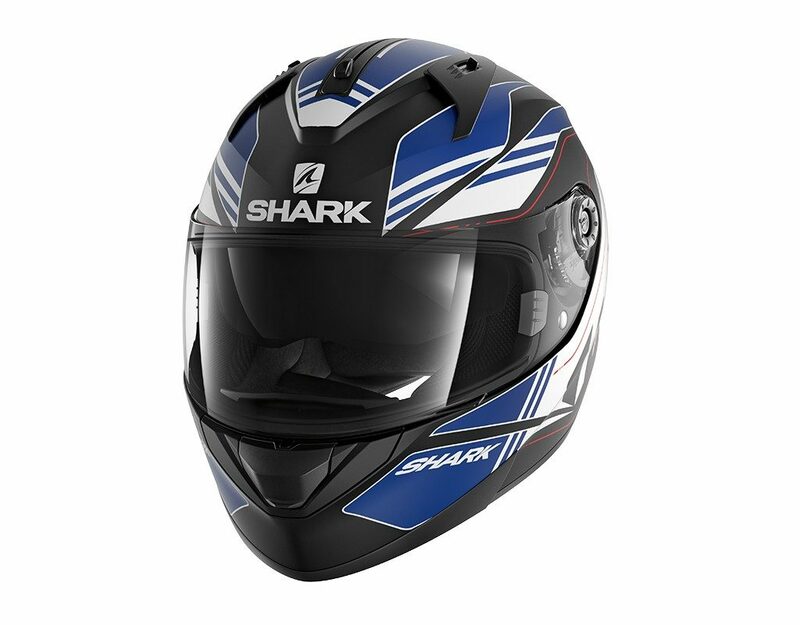 If you are one of those people, I’ve got good news for you, Shark’s Ridill is a helmet that should be on your shopping list. 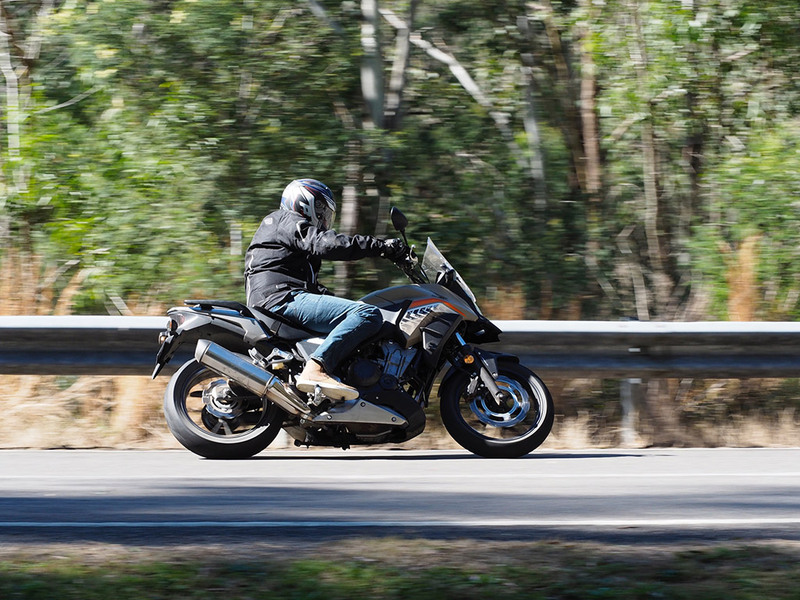 The Shark Ridill was reviewed on Cycle Torque TV. It’s 11 minutes and 47 seconds in. Just press play! When I pulled it out of the box, I’ll admit I wasn’t sure what to expect. I’ve heard all the stories about cheap helmets before and it’s hard not to become tainted by them. When I saw that there were no D-rings, I’ll admit alarm bells started to go off. I’ve not seen a helmet use the micro-lock system yet and this would be my first time trying it. Looking past that I noticed the Ridill has all the features you expect from helmets that cost twice the price. There’s an internal tinted visor, the liner is removable and washable, it’s pinlock and glasses ready, plus you get some reflective stickers for increased visibility (like riding at night). Reflective stickers don’t cost the world, but the thought counts. Shark Ridill: fully-featured and excellent value. The Ridill’s shell construction is injected thermoplastic, which is the biggest reason why it doesn’t cost as much as lids made from tricomposite and carbon fibre. The thermoplastic shell has good shock absorption properties but isn’t as durable under abrasion, so I think it will suit commuting and moderate sports touring usage. I threw it on my bonce and to the complete shock and horror of the hundred dollar head crowd, it actually fit my oval-shaped head really well. The micro-lock buckle clipped positively into place, it didn’t pinch my skin and the chinstrap cushioning fell into the right place, it really bugs me when it doesn’t. I gave it a good, firm tug (the buckle that is…) and it felt secure. I was reassured somewhat. The other positive of the micro-lock buckle on the Ridill is noticed when you take the helmet off. Lift the latch and it’ll come straight off, you can even take the helmet on and off with gloves on. On the road, the Ridill performs well. Wind noise is low, although I’d still recommend wearing earplugs with any helmet. Importantly, there was no whistling or droning whilst riding with the visor up. The air vents are effective although this is where the helmet’s cheaper price-tag makes itself noticed. I prefer the Shark’s in/out (opposed to a left/right switch) chin vent, but it doesn’t clip positively, and I’d like the visor opening clip to be a bit larger. The other thing I thought could have been better was the internal visor switch. It’s located at the top of the helmet and takes up precious real estate. I prefer it on the side. That way you don’t have two air extraction vents to deal with. After plenty of riding I’m beginning to like the micro-lock buckle more and more. A day’s riding taking the helmet on and off you’ll know how tight you like it and how many clicks it takes to get there. It’s very comfortable and easy to use. All up the Shark Ridill is gets my tick of approval. It’ll be good enough to wear if you’re most concerned about impact protection and it’s got practically all the features a high quality sports-touring helmet does. While the Ridill might not be a perfect helmet to use on a week-long sports-touring trip, it’ll still do the job if those operational niceties are beyond your budget. I’m happy enough to use it as day-to-day helmet for the value it offers. Single colours start at $199.95 and the graphic lids like this one are $50 extra. BELL’S new ‘Rouge’ helmet has that tough look many are looking for, but it also has more protection than you get from an open face helmet.